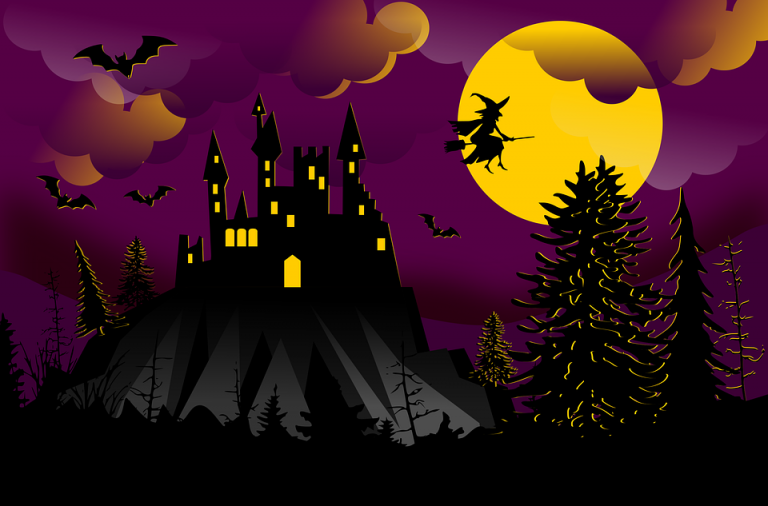 Halloween has become an important occasion in the party calendar. 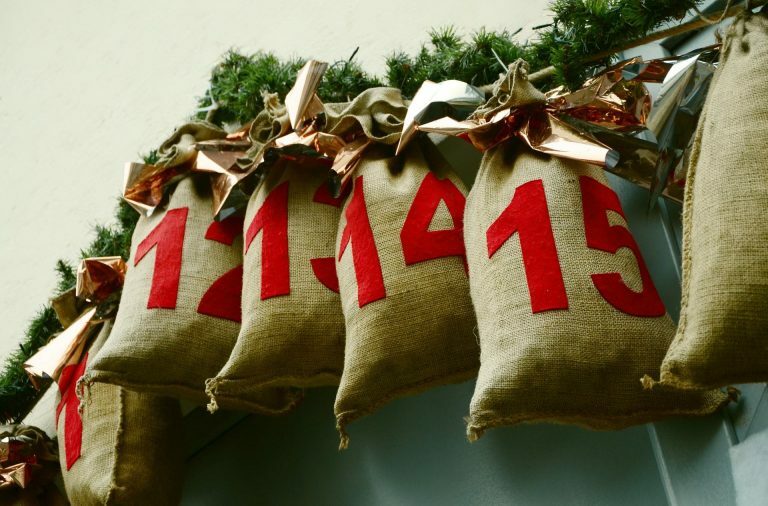 So much so, Brits were happy to spend almost £500 million getting in the party spirit in 2015. 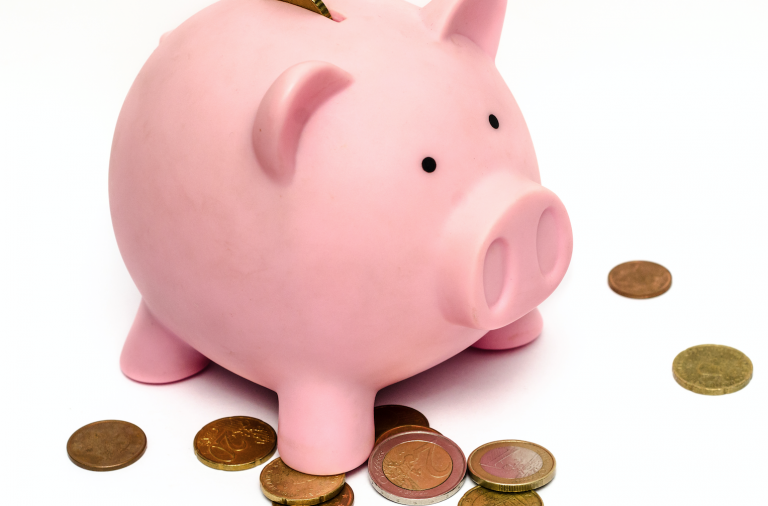 That is a scary amount of money, but Halloween can be done well, and on a budget. Welcome to your complete Halloween DIY party guide 2017. Halloween costumes are possibly the most important bit. Homemade fancy dress can be incredibly cheap and quite often, the star of the show. 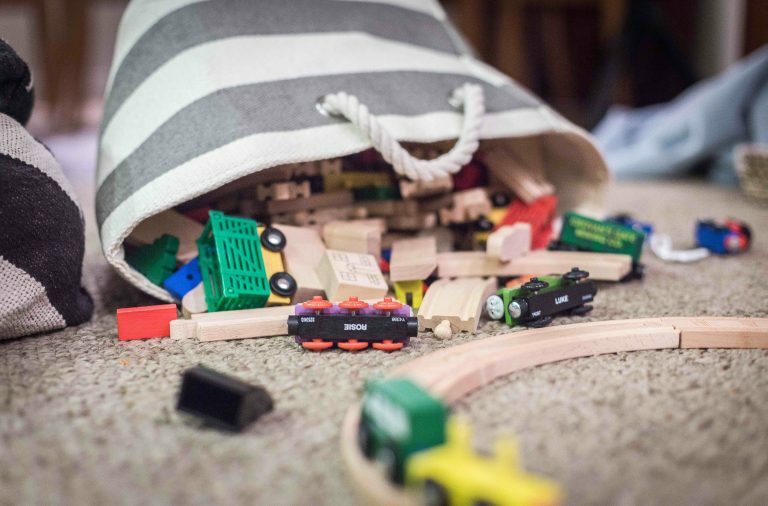 These DIY costume ideas are easy, cost effective and pretty clever. 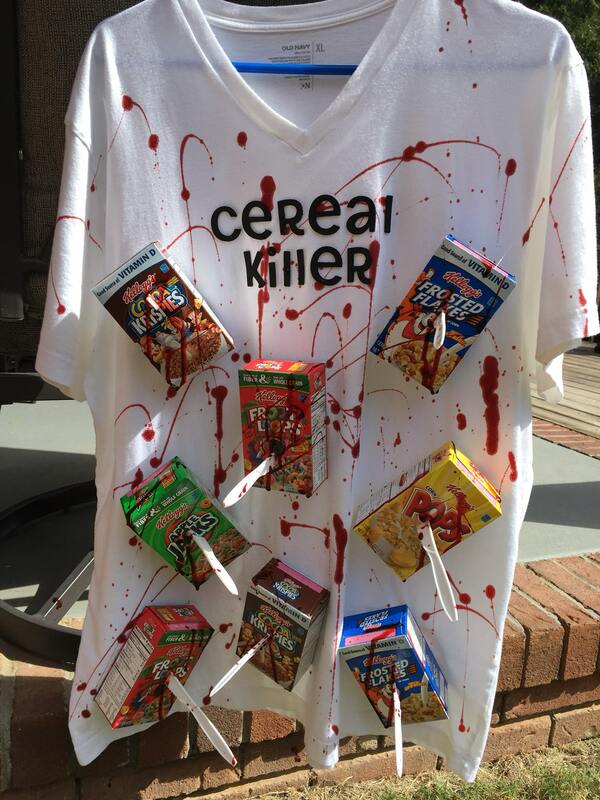 This cereal killer costume is a personal favourite and it couldn’t be easier to make. Plus it’s the perfect excuse to eat an entire cereal multiple pack! In addition to the cereal boxes, you need plastic knives (hello M&S), fabric glue, an old t-shirt and some red food colouring. As one of my favourite memes of all time, I was delighted to discover Andrea Garcia had put together this charming costume with a full step-by-step video of to how to make it. These bat wings are so clever and they look great. 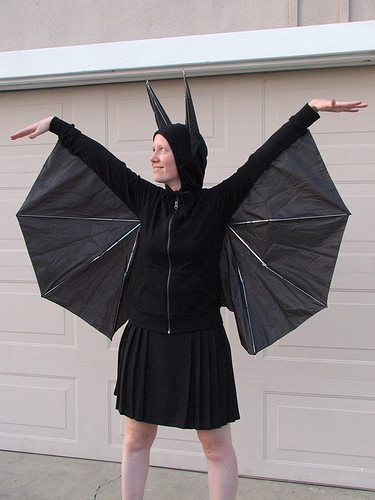 All you need is a black umbrella and some basic sewing skills and you’ve got functioning bat wings. Head over to Evil Mad Scientist Laboratories to find out how to make them. The Halloween buffet table is definitely the place where you can have some fun. You can add a Halloween twist to all your usual party favourites, although be mindful not to make things too gruesome as you might put people off actually eating them. These lollipop ghosts are really cute and incredibly easy to make. All you need is tissues, string and a pen for the eyes. 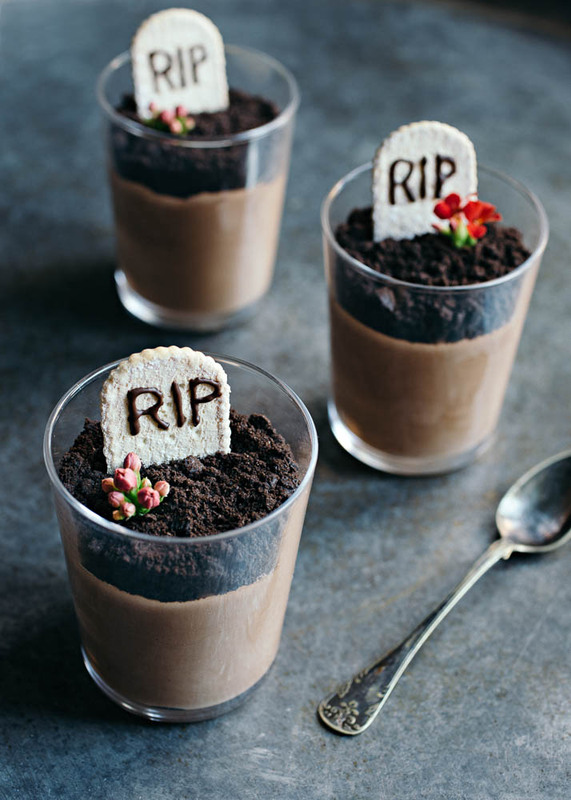 Check out this video from Jessica Louise Ashe to find out how to make these ghoulish treats. 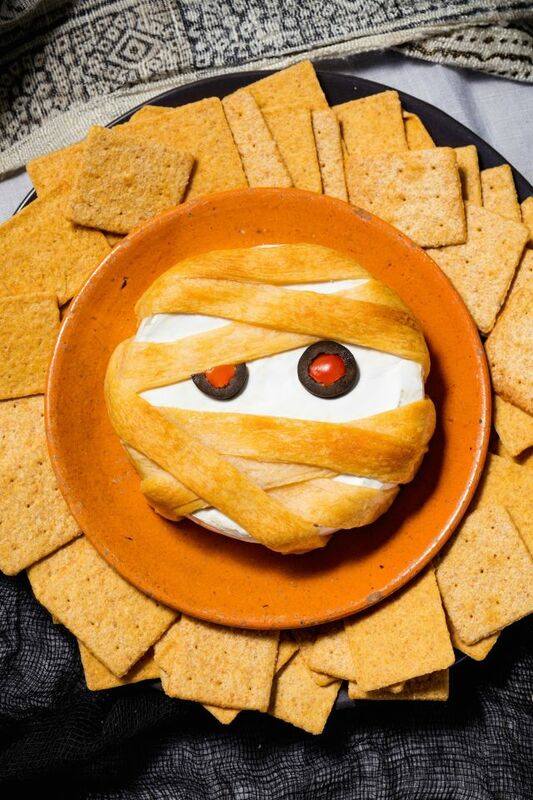 This mummified Brie is simply wonderful! Again, it’s so easy to make. The mummification effect is created by wrapping around puff pasty, and the eyes are black olive slices sitting on two mini pepperoni (although you could use anything, such as cherry tomatoes or red peppers). Get the full recipe and video at delish. 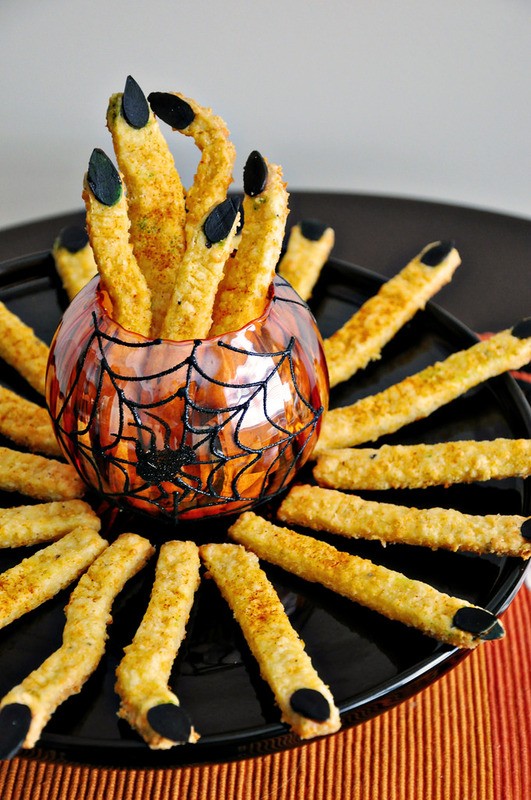 These witches fingers make the perfect addition to your Halloween buffet table. The finger nails are created with painted almonds, although you could use pumpkin seeds as they are for a green effect. Check out the full recipe from Cook look a Champion. 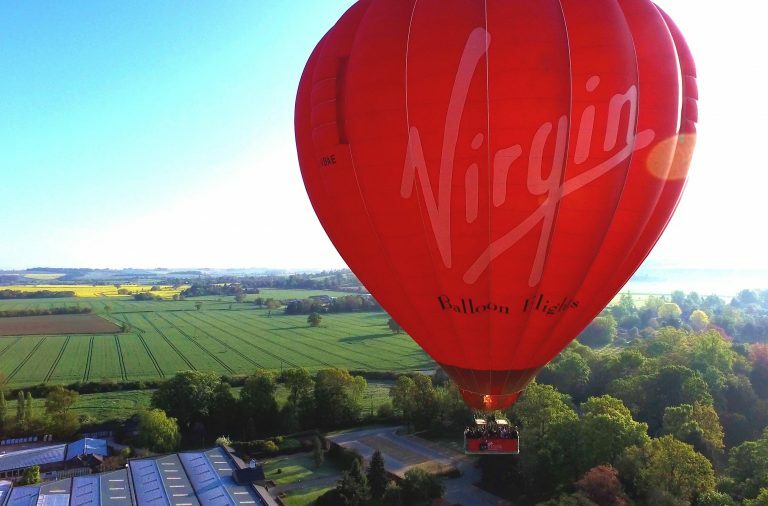 Are you brave enough to discover what lies beneath? If you follow Sofia Von Porat’s recipe, luckily the only thing you’ll find is pure scrumptiousness. You could also add jelly worms to the top if you want to creep your guests out a bit more. 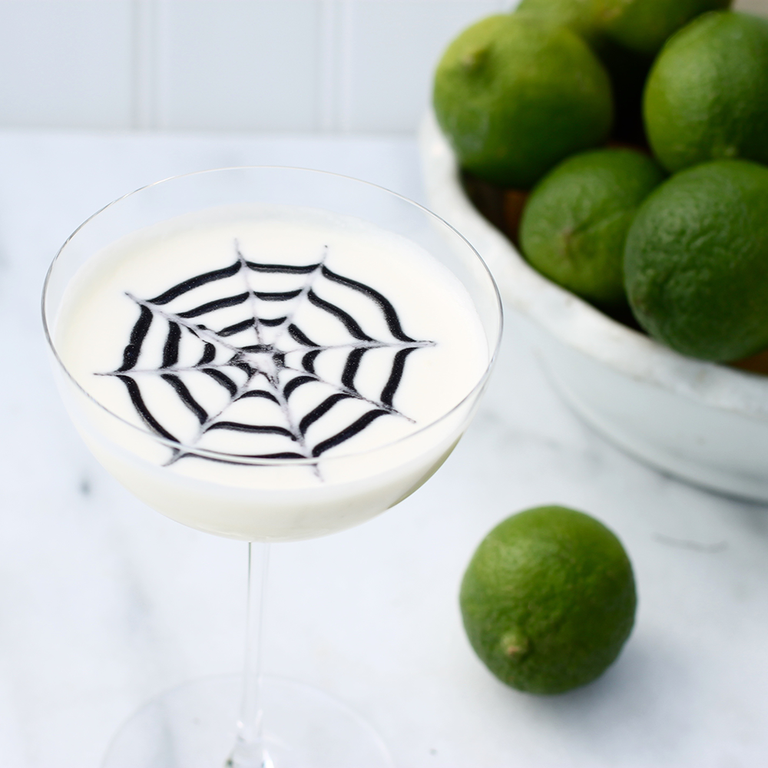 Cocktails are a great way to make your Halloween party truly stand out. 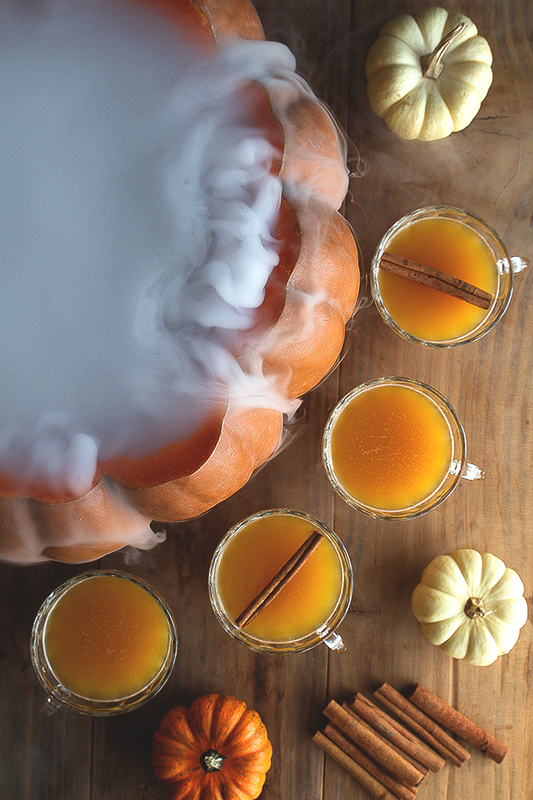 With smokey dry ice, pumpkin punch bowls and mysterious ice handprints, your party beverages will be the star of the show. The peeps at HonestlyYUM have created this fabulous feast of a punch. With rum, pumpkin and cinnamon, it’s the perfect beverage for an evening’s festivities. Not only does this cocktail look and sound scrumptious, it is actually not too tricky to make thanks to the old faithful cocktail stick. Head to Best Friends for Frosting to learn how to create this spectacular spider’s web. 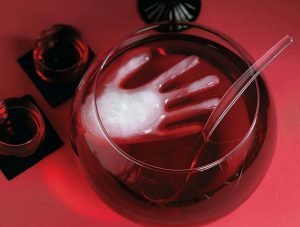 This spooky floating hand is a great addition to your punch bowl. Simply fill a washing-up glove with water, tie it with a rubber band and pop it in the freezer. You may want to do a few to replace them as they melt away. There is no denying, these are pretty disgusting, and won’t be suitable for your more squeamish guests. However if you are feeling devilish, check out this easy to follow video from DrinkLab. Don’t forget to add a little bit of oil to your ice container to make sure the pupil doesn’t stick… urgh. There are some wonderful Halloween make-up pictures and videos out there, but for those of us who are not so handy with a brush, the results are a tad unrealistic. Have a peek at these simple, yet effective make-up tutorials. If you’re looking for a more traditional Halloween look, a vampire is the perfect choice. Chelsea Crockett from BeautyLiciousInsider shows us how to create a creepy vampire look, without a great deal of effort. This tutorial from Cherry Wallis is wonderful! It’s fun, easy to follow and the results are terrifyingly realistic. You could use the same claw make-up effect with several other characters too, such as Beauty and the Beast or Goldilocks.